Morgan Stanley had estimated Wipro's net profit at Rs 1,992 crore on revenues of Rs 13,459 crore for the June quarter. Wipro's reported better-than-expected revenue and profit for the June quarter, helped by higher revenue from banking, financial services and insurance segment. 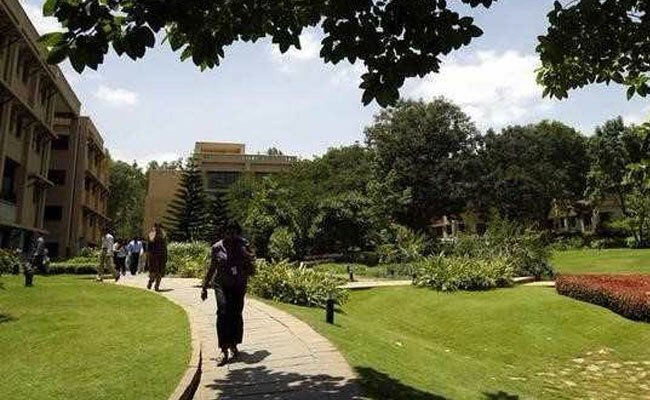 Wipro, India's third biggest IT services exporter, reported a consolidated net profit of Rs 2,082 crore in the April-June quarter, down 8.1 per cent sequentially from Rs 2,267 crore in the January-March quarter. Its revenue fell 2.6 per cent quarter-on-quarter to Rs 13,626 crore. Morgan Stanley had estimated Wipro's net profit at Rs 1,992 crore on revenues of Rs 13,459 crore for the June quarter. Meanwhile, the IT outsourcer also announced a share buyback to the tune of Rs 11,000 crore at a price of Rs 320 per share. Wipro shares closed at Rs 269.15 on Thursday. For the IT services segment, Wipro's revenue came in at $1,971.7 million, a sequential increase of 0.9 per cent and 0.3 per cent in constant currency terms. Commenting on the earnings. Abidali Z Neemuchwala, chief executive officer of Wipro, said, "We delivered revenues above the upper end of the guidance range. Our focus on Digital combined with our investments in client mining have resulted in strong growth in top accounts." Wipro had earlier guided for a dollar revenue growth of negative 2 per cent to zero per cent for the June quarter. "We expect revenues from our IT services business to be in the range of $1,915 million to $1,955 million," the company had said while announcing its March quarter earnings. For the September quarter, Wipro said its revenue for the IT services may come in the range of $1,962 million to $2,001 million. On new order wins, Wipro said, it won a multi-year engagement with a large utility company in the United States to deliver data center, disaster recovery, service desk and end user services. "This program will drive greater automation and improve services to end customers through the use of analytics and the Wipro HOLMES Artificial Intelligence PlatformTM," the company said. Wipro also bagged a multi-year contract from a Europe-based oil and gas major to transform their IT infrastructure and security platform. Earlier this month, Infosys, India's second biggest IT services exporter, reported a better-than-expected net profit of Rs. 3,483 crore for the quarter ended June 30, 2017, helped by key client wins. Meanwhile, Infosys also raised its dollar revenue guidance to 7.1-9.1 per cent for the year, against its April forecast of 6.1-8.1 per cent. TCS, which also reported its earnings earlier this month, said it was optimistic about client spending on technology even as a cautious global environment and a stronger rupee dented its first-quarter profit. TCS, part of the salt-to-software Tata Sons conglomerate, reported a consolidated net profit of Rs. 5,945 crore in the June quarter.